B&H has earned a strong presence and reputation from establishing innovative and successful experiential event brands, such as Beautiful Allotment, Winter House, Cocktails in the City and The Prohibition Party, all of which are widely considered landmark events. With cocktail bars in the West End and a larger multi-faceted club house, bar and restaurant in Clerkenwell, B&H is recognised for conceiving and creating beautiful and original interiors with a keen attention to detail and a unique and singular aesthetic. B&H Group are widely respected for the quality of cocktails they produce and their vast knowledge of spirits. This reputation is reinforced through the various and popular masterclasses and workshops hosted at Bourne & Hollingsworth Buildings and Reverend JW Simpson, which are regularly adapted for one-off celebrations and private events. Bourne & Hollingsworth are experts in creative and set design. Our in-house design team works hard to tailor each event in line with the creative brief and budget of the client, with the use of props, menu design, theming, set up and dress code of bar staff, etc. This attention to detail carries through to our venues, each one with its own style, whilst still delivering the B&H ethos of beautiful interiors. We strive to create breath-taking spaces (indoor and outdoor) that inspire our customers and lead new trends. B&H is known as a founding force in the immersive experience world. 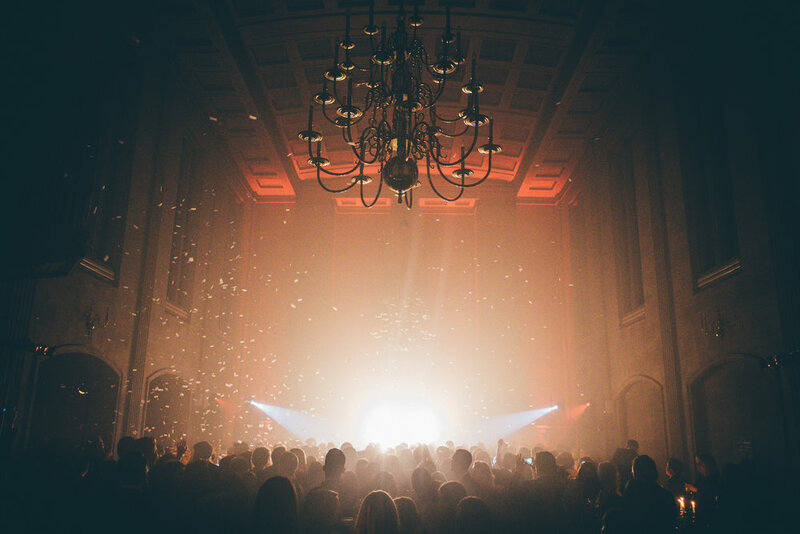 Having established a number of successful landmark event brands, B&H is also the backbone of various other well-known immersive events, providing the commercial infrastructure, creative input and experience required to run successful events, such as Secret Cinema. In 2016 B&H Productions welcomed over 1,300 guests to our parties and served over 56,000 drinks. Year to date, B&H Productions has catered to over 80,000 guests and served over 170,000 drinks, with over 100,000 being cocktails. With two cocktail bars in Fitzrovia a larger restaurant, clubhouse, cocktail bar and cookery school in Clerkenwell, and a whole host of larger dry-hire tried and tested venues, we have a space for most scenarios. Having established a number of successful landmark event brands, B&H also regularly operates large scale events and activations as both under our own name and as white label providers in partnership with other well-known brands.